Home Features Transfer Update – Falcao wants Chelsea, Cech to stay? Transfer Update – Falcao wants Chelsea, Cech to stay? Good morning and welcome to the transfer news update from CFCnet where we take a look at the potential arrivals and departures at Stamford Bridge this coming summer transfer window. First up, former Manchester United loanee striker Radamel Falcao is interested in joining Chelsea, and his agent will offer him to the blues for a cut price wage fee. Chelsea had pursued the Colombian international previously but various fee’s put them off. After enduring a tough season in Manchester, the players representatives are keen to get him back in the mix and give him another shot in England. There was talk that Chelsea might be interested in loaning Falcao, but Monaco may well be willing to drop the fee enough to make the deal permanent at this stage. 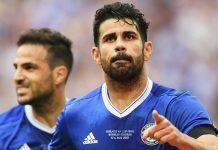 Chelsea need a striker and need more competition for Diego Costa, Falcao would be a risk but he’d also be one of few high calibre strikers willing to be second or third choice striker and battle for his place. With Financial fair play taken in to account, if the fee is right or even a loan deal, there might be interest from Chelsea. Meanwhile, Manager Jose Mourinho is fighting hard to attempt Petr Cech to stay at Chelsea. The club legend appeared to have played his last game at Stamford Bridge on Sunday after eleven seasons there. But Mourinho has said he is doing all in his powers to keep Cech and added that without his contribution this season, we may not have been champions. Arsenal lead the race for Cech, along with Manchester United and a number of others. Naturally at 32-years old, he still wants to be the number one and he won’t get that with Thibaut Courtois keeping goal. But will he be able to leave the club he loves so much and has been so successful at? Time will tell.